In just over a quarter-century of existence, LA Opera has become, under the leadership of Eli and Edythe Broad General Director Plácido Domingo, the United States' fourth largest opera company and "...stands out as a newly important force in American Opera." (Mark Swed, Los Angeles Times). LA Opera created a sensation with its inaugural production of Verdi's Otellostarring Plácido Domingo in October 1986. Under the leadership of Founding General Director Peter Hemmings and subsequently under Plácido Domingo, LA Opera has grown to become a company of international stature. LA Opera has taken several significant steps in recent years to nurture its tradition of artistic excellence. Plácido Domingo served as the Company's Artistic Consultant from 1984 until October 1998, when Mr. Domingo was named Artistic Director Designate. The 2001/02 season marked Mr. Domingo's first fully planned season with the Company as Artistic Director and included eight Company premieres. In May 2003, Mr. Domingo was named General Director of LA Opera. In September 2006, in honor of a $6 million gift from Eli and Edythe L. Broad as lead sponsors of the Company's first Ring cycle, his title became The Eli and Edythe Broad General Director. In addition, Mr. Domingo has sung more than 130 performances and has also conducted well over 70 performances of both operas and concert works with the Company. Kent Nagano joined LA Opera as Principal Conductor in the 2001/02 season, and in May 2003, he was named LA Opera's first ever Music Director. In 2006, James Conlon succeeded Maestro Nagano and currently holds the position of Richard Seaver Music Director. Mr. Conlon's dynamic leadership has brought new international acclaim for the Company, and his important new artistic initiatives have included an emphasis on the works of Richard Wagner, the ongoingRecovered Voices series dedicated to performing the unjustly neglected operas of composers who were affected by the Holocaust, a three-season celebration of the centenary of Benjamin Britten, and an ongoing collaboration with the Cathedral of Our Lady of the Angels to bring together professional and amateur musicians from every part of Los Angeles in performances of family operas. Throughout its history, the Company has maintained a talented roster of Resident Artists, young singers who perform regularly in mainstage productions as well as the Company's community programs. The program prepares young artists who have the potential for major careers in opera by providing invaluable experience and training. Among the distinguished artists who have gone on to enjoy national and international success are Rod Gilfry and Paula Rasmussen. Beginning with the 2006/07 season, the Domingo-Thornton Young Artist Program was inaugurated, with its own separate staff under the personal supervision of Plácido Domingo. The program is designed so that participants can work full-time on developing their careers during that critical stage between the end of their formal academic or conservatory training and the onset of professional performing careers. LA Opera traces its roots back to 1948, when a company called the Los Angeles Civic Grand Opera presented a performance of Rigoletto in a church hall in Beverly Hills. The Company, under the directorship of Francesco Pace, staged productions through the 1950s, and in 1964 it presented the first opera performed in the Music Center's brand-new Dorothy Chandler Pavilion. Shortly after its third production at the Dorothy Chandler Pavilion, L'Italiana in Algeri starring Marilyn Horne, the Los Angeles Civic Grand Opera abandoned its own production projects and recreated itself as the Music Center Opera Association. For two decades, the Association brought opera from other cities to the Music Center. By far the lengthiest arrangement was with New York City Opera, which brought productions to the Music Center every fall from 1966 to 1982. 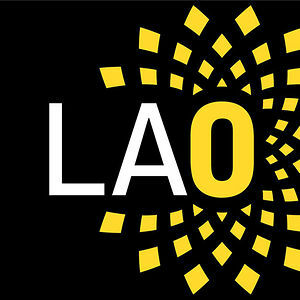 In 1984, the Music Center Opera Association hired Peter Hemmings as its Founding General Director and gave him the task of creating a new opera company that would once again present its own productions in Los Angeles. It was through this important turn of events that LA Opera was born. Mr. Hemmings stepped down as LA Opera's General Director in 2000, and the following season Plácido Domingo assumed leadership of the Company.